What Are the Signs of Appendicitis in Children? A common sign of appendicitis in children is a loss of appetite. Abdominal pain accompanied by a fever could indicate appendicitis. Pain around the belly button is one of the first signs of an inflamed appendix, known as appendicitis. Children and young adults are more likely to suffer from an appendicitis. Because the signs of appendicitis in children can often be mistaken for other illnesses, however, this serious medical condition may possibly be misdiagnosed. Signs of appendicitis in children include pain, loss of appetite, abdominal swelling, urination problems, and fever. Treating this medical condition is very important, since it could be fatal without medical attention. Pain is one of the most common signs of appendicitis in children, as well as adults. In the early stages of this condition, pain will usually be felt surrounding the belly button. As an appendicitis progresses, the pain will typically move to the lower abdomen, usually on the right side, where the appendix is located. 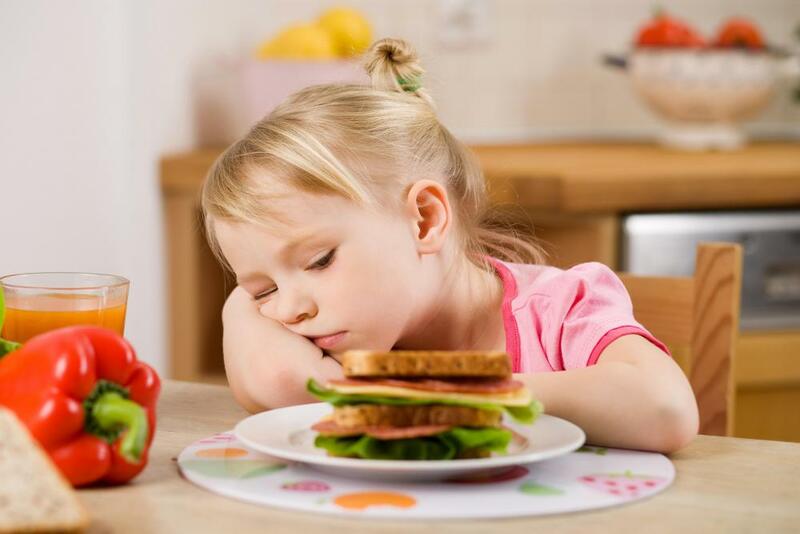 Another one of the more common signs of appendicitis in children is loss of appetite. This is usually caused by the nausea that characteristically accompanies an appendicitis. Vomiting, along with a small amount of diarrhea with mucus, may also occur. Abdominal swelling occurs in most people with this condition, but it may be one of the more common signs of appendicitis in children rather than adults. Many times this will include a bloated, or swollen, abdomen. 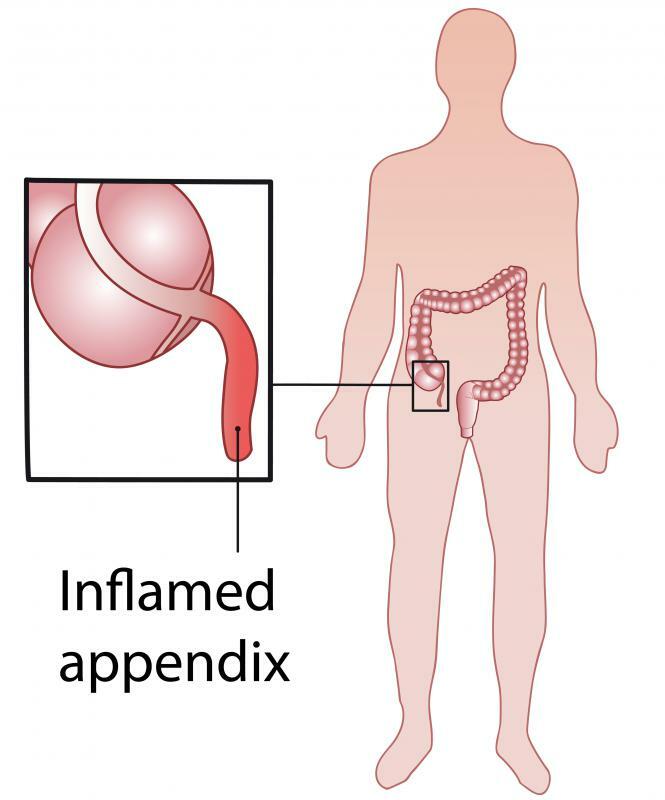 This happens because of the inflammation of the appendix, which is caused by infection. Since the two are so close, when the appendix swells it may put pressure on the bladder. Though this is a common sign of appendicitis in adults as well, it may be more noticeable in children. This can often lead to a child urinating or needing to urinate very frequently. Younger children who have been potty trained may even start wetting the bed or having more frequent accidents. 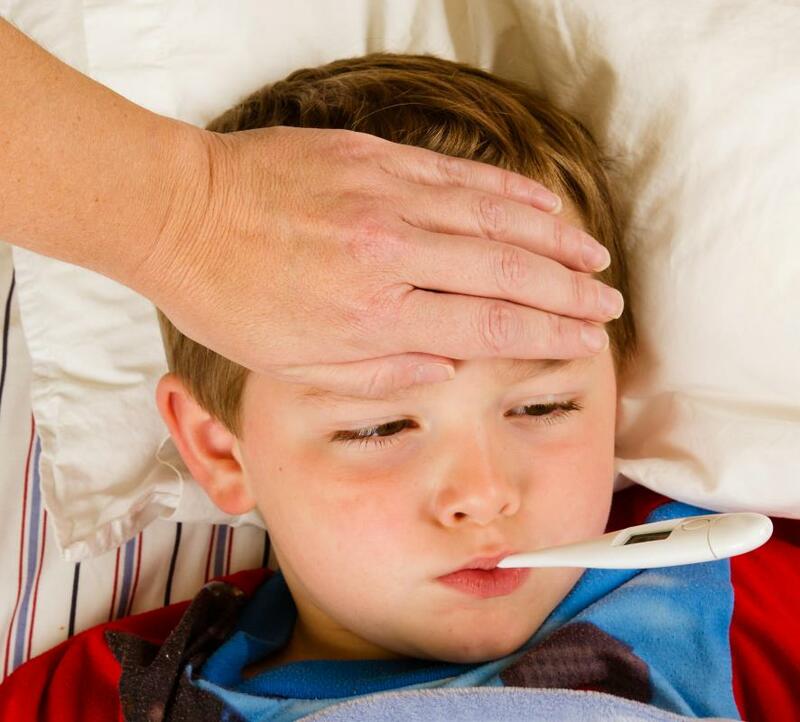 A fever is another of the more common signs of appendicitis in children. At first, the fever will be rather low, and sometimes a parent may not even notice. If the untreated infection progresses and the appendix bursts, the fever will rise quickly. A burst or perforated appendix is more likely to happen in small children, than adults. This is because small children often find it more difficult to describe their symptoms. Many times, the condition will be misdiagnosed as something less serious, such as a stomach flu. If a child's appendix does burst, it will lead to a more serious infection of the abdominal cavity. This is known as peritonitis, and occurs when the bacteria from the infected appendix spills into the abdominal space. This can happen in as little as a day or two after the original symptoms of an appendicitis appear. If it is not treated as soon as possible, it is often fatal. What Are the Signs of Appendicitis in Adults? How Do I Recognize the Symptoms of Appendicitis? What Are the Signs of Appendicitis in Women? What Are the Causes of Appendicitis? What are the Different Types of Appendicitis Treatment?